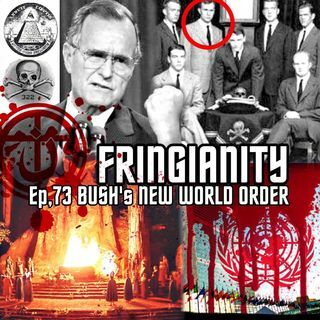 In this episode I take a deep look into the BUSH family and their ties to the new world order. I also reveal Bush’s ties to skull and bones as well as bohemian grove. If Satan had puppets in government the Bush’s would be it. They have pushed a Luciferian agenda well getting republicans to support it. Please research these things for yourself. Thank you very much for taking the time to listen. If you like the show please leave a review on iTunes or google. It helps to make the show more ... See More popular and easier to find on the search results. Also please check out the LEO RUTLEDGE YouTube channel for new fringianity underground podcast episodes and subscribe Thanks for taking the time to listen and God bless.